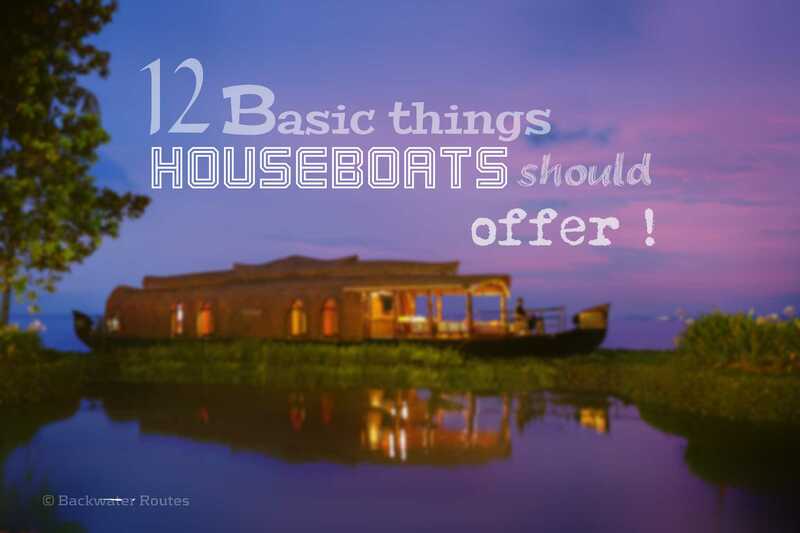 12 Basic Things Every Houseboats In Kerala Backwaters Must Offer ! A slow paced cruise along the mirror-still lagoons, picture-book vistas, palm-fringed waterways and shimmering rivulets of `God’s Own Country’ is the most enchanting holidaying experience in the south of India. With a cruise aboard Houseboats in Kerala Backwaters beside the palm-fringed waterways turning to be part and parcel of every genre of traveler itinerary, the traditional “Kettuvallam” has emerged as the lucky charm of Kerala Tourism & Incredible India. With “Kettuvallams” Houseboats turning popular and in high demand, the giant 80-feet-long crafts have been transformed into floating paradises to cater to the needs of the tourists. Luxuriously furnished houseboats with one or two attached bedrooms, open lounge, deck, kitchen and other facilities, crew comprising oarsmen, a cook and guide have become the order of the day. Some of the most imaginative houseboats (in terms of design and amenities) are being developed around the backwater destinations. From authentic houseboat to luxurious floating castles, new houseboats are pushing the boundaries of what a typical houseboat experience should feel like.No matter how much houseboat’s innovate, there are still some “basic” requirements that all Houseboats should meet to make their experiences both welcoming and comforting to guests. Houseboat operators and houseboat crew: Please take note of deliverable expectations houseboats need to make. Houseboats are a unique transformation of a simple concept of boats on water. As their name illustrates, these boats function as an alternate residential paradigm. In many countries across the world, houseboats have been a mainstay for countless decades and even centuries. But here in Kerala the concept is only two to two and half decade old only & hence getting evolved day by day. 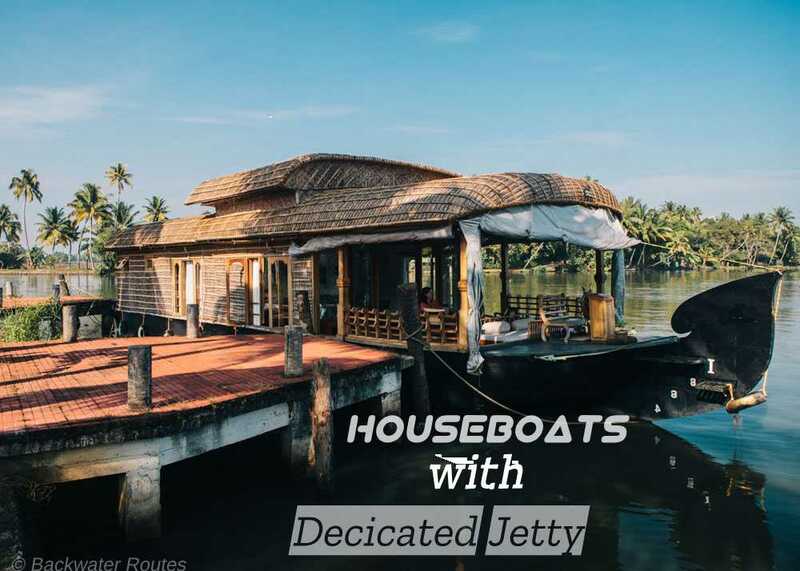 Unlike the variance of house boats that is basically used as a residential alternative, Houseboats in Kerala backwaters forms more of a vacationing voyage vessel. So houseboats of Kerala should be cruise worthy for the minimum cruising of six hours and should offer that. Further Houseboats of Kerala should at least travel 20-22 nautical miles for a single cruise of 06 hours and should take alternate backwater routes for two and fro journey. It should also cover the lively cloistered canals as well as the most monastic lake sides. Read more about the Kerala Backwaters – Overnight Cruise or Houseboat day trip ? For many, a houseboat functions as a home away from home. With that comes a hefty expectation for the most diligent safety and security measures. Many houseboats now focus on providing personalized safety and security measures for different guest profiles such as women, children, and the elderly. Ensure sufficient number of operational Life jackets & life buoys are available onboard. Verify whether the houseboats in Kerala backwaters are connected with GPS. Availability of basic fire extinguisher or fire fighting system aboard is must. Technology plays an increasingly important role in providing better safety, but some guests still place more importance on the human touch. This is an absolute must Houseboats in Kerala, whether we’re talking about a Luxury castle or a Floating Villa, need to uphold the highest cleanliness standards, offering clean public spaces, bathrooms, bedrooms, and amenities. While it’s an important initiative, recycling must not give way to a lack of hygiene. 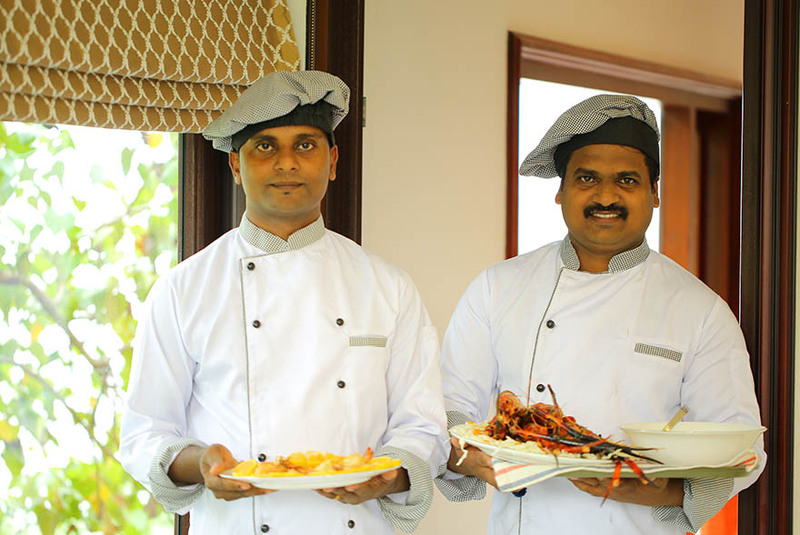 Guests expect an ideal condition for their vacations with no annoyance from mosquitoes, insects or flies which freely roam the backwater habitat pest control servicing and usage should be carried out to reduce the presence of the flies and insects to the lowest. The Backwaters as well as the voyage through the serene lake-scapes in Kerala is one of the main reasons that Vacationers head down here. Kerala has mild tropical maritime climate with two seasons rainy and non rainy and humidity throughout the year is high and the summer months are generally more humid. Weather is mostly humid throughout this landscape with moderate temperatures of 22° C and the cool gust from the backwaters makes sure you can cope up with the peak temperatures of 35° C. But guests comfort has always been linked to internal temperature so houseboat bedroom should be equipped with operational A/C with humid control. 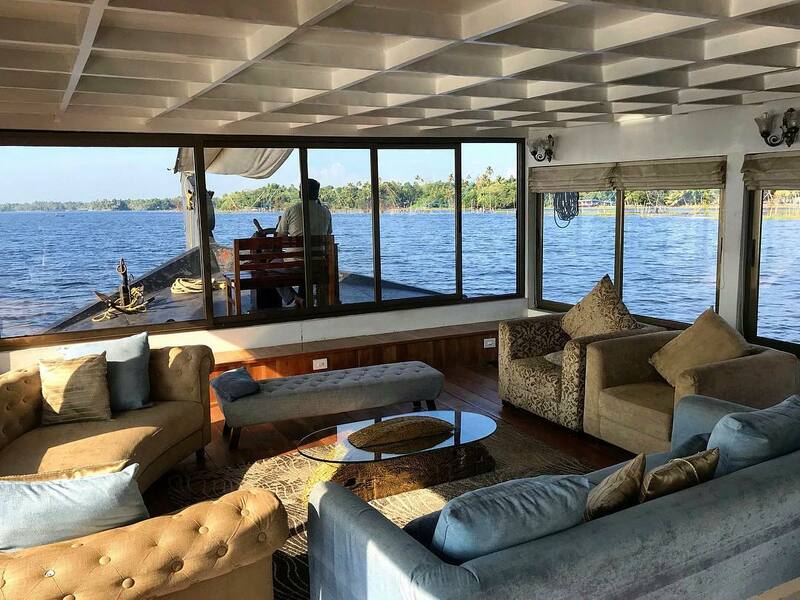 Guests aboard all category of houseboats in Kerala backwaters demand some level of Internet service, but high end houseboats especially must offer the highest level of connectivity and flexibility. In the Internet of Things era, where everything and everyone is connected, the Internet connection in the houseboat must be one of the best. To mention Houseboats are not are bound to be stay at one place and providing internet is a hurdle. Also the routes of houseboats are through scanty connected areas. With introduction of 4G the scenario is changing fast. At many houseboats, if not all, guests expect Internet access to be complimentary—for some, free WiFi is as necessary as the air we breathe. At the end of the day, a houseboat serves a very basic need: It provides a place to rest your head, but only if the bed is of good quality, clean, well maintained, and well designed. Further should be commodious enough to hold the occupants when they are about to rest. It also needs to be well positioned in the room to allow proper circulation. Some houseboats take the liberty of being creative with the pillow and blanket offerings, which is great—as long as the guest feels comfortable with the choices available to them. Gazing out across the backwater lacuna’s from your stylish, lake-facing balcony of houseboats in Kerala backwaters is absolute bliss. More and more, houseboats plying in backwaters are stocking their guest rooms with upscale and state-of-the-art amenities as a way to draw tourists. But for many travelers, there’s one feature that trumps pillow menus, super cooled rooms, plush interiors, LCD TVs, and all the rest: a open to air rooftop/balcony. After all, does anything beat watching the sun rise or set? sunbath atop? sky gazing at night? Or simply getting some fresh air? In-room extras are nice to have, but they just can’t compete. The liberty to sat on a patio in shorts with no obligation of dress code & full privacy is delightful part of your holiday. Of course, not all rooftops or balconies are cut from the same cloth. But a sundeck or balcony is a way to get intimate with the bewitching backwaters of Kerala. This is a pretty big issue across houseboats in Kerala backwaters because presence of bright lights or more lights usually draws more flies while on berthing at jetty. Most don’t offer adequate lighting in the houseboats rooms, from bathrooms to bedside lamps, and it’s a hassle for guests across the board. Improved lighting serves to enhance the guest room experience and provide a sense of security. Lighting deficiency or compulsion to avoid lights is contention related to basic category of houseboat only. The higher class of houseboats viz Premium class, Luxury class & Ultra Luxury have lighting to changing houseboat layouts and used to highlight its architectural as well as security aspects that give the houseboat its individual flair or define its concept. The reason this is highlighted as “Bathroom blues” as opposed to just a “good shower” or “hot water” is because this concerns the entire bathroom & facilities. Non-corroded, damage free & properly functioning sanitary fittings make appeal to all breed of travelers and make every backwater enthusiast pleased. Chocked shower would make anyone annoyed and Hot water is of no use if it is just trickling down; lack of proper water flow from the sink and toilet is a significant burden and inconvenience to any guest. All guests should expect clear, potable water; proper and continuous hot running water in the shower; flowing water in the sink and toilet; and no leaks when aboard houseboats in Kerala. Aboard Houseboats in Kerala backwaters the guest and crew stay in same deck so attending guest’s need and queries are quite easy unfortunately, this does not happen as often as we would like. Sometimes all the crew are engaged in their job and is attended by one who does not have the information, but is rather there just to attend…so on to another transfer! No matter what the houseboats classification, the operator must assign a qualified crew who is able to effectively and efficiently answer a guest’s questions and concerns, and refer them to the appropriate person only if absolutely necessary. When stepping on to houseboats in Kerala backwaters, the houseboats room, the smell of the boat has a major impact on a traveler’s first impressions. Guests are often sensitive to newly created houseboats “signature” scents or stale smells from carpets and bathrooms, which can influence the guest’s perception of the quality and cleanliness of houseboats. The availability of food and beverage outlets varies based on the houseboats category. While the houseboats don’t have a license to sell alcohol, you’re welcome to take your own if you wish. However, certain things—such as a hot breakfast—are a basic offering that really adds to a guest experience. Even budget houseboats having a kitchenette could be conveniently located, which caters to houseboats guests. Houseboats must offer simple and tasty foods which are affordable and are must nowadays. Pro Tip: If you like a brew on board, BYOB [Bring your own booze or ask Houseboat Manager to tank up every thing to before you cast off from the jetty. In this day and age, any traveler can board houseboat in his/her sweet time. While these relaxations are exciting, houseboats need to stay focused on certain elements of a Boarding/checking-out process that really effect a guest stay. (i) Locus Coordinates : Houseboats in Kerala Backwaters being afloat and transitory, may change their position according to their timeliness; suitability and appropriateness, the whereabouts of Houseboat need to be passed to guest beforehand they start grumpy. The GPS coordinates can be easily shared via Facebook , Whatsapp or Google and updated as and when required. (ii) Clear Itinerary: Guests should know what to do or what is offing next etc what route it houseboat is going to take, the berthing station, facilities near to berthing station and services aboard. (iii) Convenience: Whether it is a steward or captain of the boat, guests should have immediate access to a designated people’s person that handles their boarding/check-out and any issues promptly. (iv) Reliability: No matter what the process of interaction, the houseboats in Kerala backwaters must be able to offer the exact same experience every single time so that the guest develops a sense of comfort and confidence with the houseboats. ← 07 AMAZING KUMARAKOM HOUSEBOAT PACKAGES YOU’VE NEVER CONSIDERED, AND WHY YOU REALLY SHOULD!